In varied educational settings, narrative evaluations have revealed systematic and deleterious differences in language describing women and those underrepresented in their fields. In medicine, limited qualitative studies show differences in narrative language by gender and under-represented minority (URM) status. To identify and enumerate text descriptors in a database of medical student evaluations using natural language processing, and identify differences by gender and URM status in descriptions. 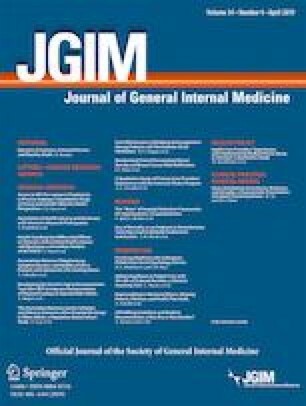 An observational study of core clerkship evaluations of third-year medical students, including data on student gender, URM status, clerkship grade, and specialty. A total of 87,922 clerkship evaluations from core clinical rotations at two medical schools in different geographic areas. We employed natural language processing to identify differences in the text of evaluations for women compared to men and for URM compared to non-URM students. We found that of the ten most common words, such as “energetic” and “dependable,” none differed by gender or URM status. Of the 37 words that differed by gender, 62% represented personal attributes, such as “lovely” appearing more frequently in evaluations of women (p < 0.001), while 19% represented competency-related behaviors, such as “scientific” appearing more frequently in evaluations of men (p < 0.001). Of the 53 words that differed by URM status, 30% represented personal attributes, such as “pleasant” appearing more frequently in evaluations of URM students (p < 0.001), and 28% represented competency-related behaviors, such as “knowledgeable” appearing more frequently in evaluations of non-URM students (p < 0.001). Many words and phrases reflected students’ personal attributes rather than competency-related behaviors, suggesting a gap in implementing competency-based evaluation of students. We observed a significant difference in narrative evaluations associated with gender and URM status, even among students receiving the same grade. This finding raises concern for implicit bias in narrative evaluation, consistent with prior studies, and suggests opportunities for improvement. An earlier version of this work was presented in Denver, Colorado, at the Society of General Internal Medicine’s annual meeting in April 2018. The online version of this article ( https://doi.org/10.1007/s11606-019-04889-9) contains supplementary material, which is available to authorized users. The authors would like to thank Roy Cherian, Cassidy Clarity, Gato Gourley, Bonnie Hellevig, Mark Lovett, Kate Radcliffe, and Alvin Rajkomar. Dr. Sarkar is supported by the National Cancer Institute (K24CA212294). Association of American Medical Colleges. Recommendations for Revising the Medical Student Performance Evaluation (MSPE). May 2017. https://www.aamc.org/download/470400/data/mspe-recommendations.pdf. Accessed December 11, 2018. Association of American Medical Colleges. Diversity in the Physician Workforce: Facts & Figures 2014. 2014. http://aamcdiversityfactsandfigures.org/. Accessed December 11, 2018. US Census Bureau. Frequently Occurring Surnames from the 1990 Census. https://www.census.gov/topics/population/genealogy/data/1990_census.html. Published September 15, 2014. Accessed December 11, 2018. US Census Bureau. (2000) Frequently Occurring Surnames from the Census. https://www.census.gov/topics/population/genealogy/data/2000_surnames.html. Published September 15, 2014. Accessed December 11, 2018. Social Security Administration. Beyond the Top 1000 Names. Popular Baby Names. https://www.ssa.gov/OACT/babynames/limits.html. Published 2017. Accessed December 11, 2018. Presta, A., Severyn, A., Golding, A., et al. SyntaxNet: Neural Models of Syntax. tensorflow; 2018. https://github.com/tensorflow/models. Accessed December 11, 2018. Andor D, Alberti C, Weiss D, et al. Globally Normalized Transition-Based Neural Networks. ; 2016. http://arxiv.org/abs/1603.06042. Accessed December 11, 2018. Dertat, A. (2011) How to Implement a Search Engine Part 3: Ranking tf-idf. http://www.ardendertat.com/2011/07/17/how-to-implement-a-search-engine-part-3-ranking-tf-idf/. Accessed December 11, 2018.